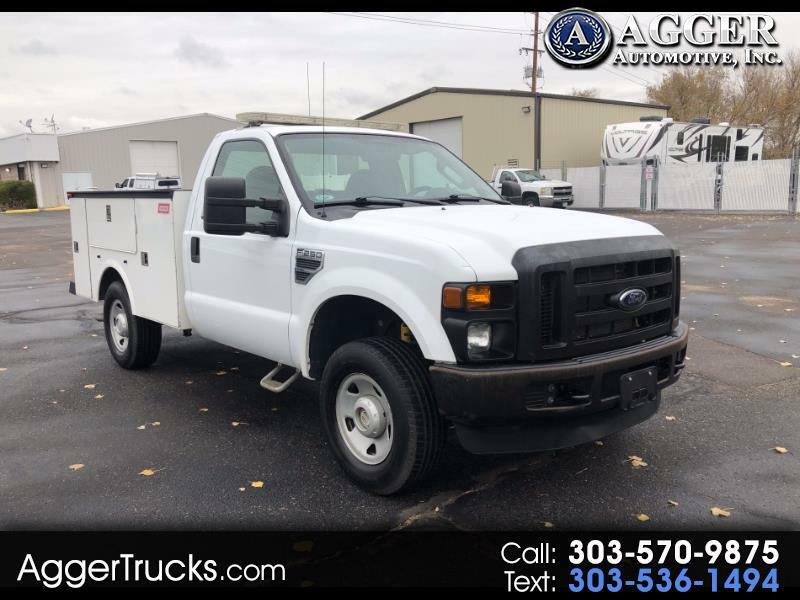 Used 2009 Ford F-250 SD 4WD Reg Cab 137" XL for Sale in Denver Commercial Truck CO 80110 Agger Automotive Inc.
For sale is this 2009 Ford F250 XL Service Utility Truck is a one owner vehicle from the Denver Water Department in Colorado. This utility truck comes equipped with a 6 compartment Omaha utility body, 4x4, light bar, bed liner, Gamber-Johnson docking station, Brother Pocket Jet 6 mobile printer, and clean title. Fully serviced with service records provided upon request.